A 45-minute introductory consultation to create a customized wellness plan for your unique constitution of body type, using pulse and tongue analysis and case history, you will receive a plan integrating diet and lifestyle. Ayurveda is a way of life and yoga is an essential part of it. 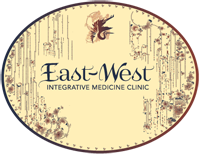 We can help you experience unique blend of Ayurveda, yoga, meditation, wellness therapies, to rejuvenate your body and mind with the help of traditional holistic treatment methods. This will be an individualized treatment but Amrita also offers group classes. 45 minutes. Abhyanga is a warm oil herbal massage, customized to the body’s unique needs. This deeply nourishing treatment integrates the soothing therapeutic massage. Marma point is a unique therapy and doorway into body and consciousness. It is a powerful process and therapy that works with these subtle and sensitive energy points to dissolve the blockage and promote normal flow of prana (energy). These blockages can manifest of pain, parasthesia, inflammation and other disorders. There are total 107 points on the body that can be massaged to relieve symptoms. 50 minutes. A gentle 30 minute Full body steam, using a customized essential oil blend. 30 min. Shirdohara is so unique, blissful, classical, Ayurvedic procedure of slow and steady streaming medicated oil or liquids on the forehead or 6th chakra. This induces a relaxed state of awareness that results in dynamic psycho-somatic balance. This will begin with a head massage for 15 mins and then moving to Shirdohara.